Back in November, we made some predictions about what might occur in a Trump presidency as it relates to immigration. Generally, we were very pessimistic and presumed that almost all areas of immigration would become more difficult and challenging for immigrants, families and communities. This has proven to be true, but not in all of the ways we anticipated. In some areas, such as refugees and admission policies, the administration has been as bad as expected. In others, such as Deferred Action for Childhood Arrivals (DACA), the administration has seemed reluctant to take big steps leaving many nervously watching the news for any indication of his plans for DACA holders. We will break this up into three broad categories: The Good, the Bad and the Ugly. DACA. So far, the President has, by and large, ignored DACA. Presumed to be first on the chopping block, DACA manages to survive for now. As of now, DACA still exists. This means that people are getting extensions of DACA, employment authorization documents are being granted, new applications are being approved, and advance parole issued and, more importantly, honored at ports of entry around the country. However, the government did famously arrest two DACA grantees. Daniel Ramirez was arrested in Seattle when he was discovered in a raid that targeted another individuals. Daniel has DACA and ICE made claims that he confessed to being a gang member. Considerable evidence undermines this claim, but as of right now, Daniel remains in jail. Daniela Vargas was arrested by ICE. Her DACA had lapsed. However, ICE had previously arrested some members of her household. AT that time, Daniela’s DACA was lapsed but ICE “gave her a pass.” Daniela later appeared on the news talking about immigration issues. ICE then arrested her. After a huge public outcry that ICE targeted her for speaking out and not because of her immigration status and the filing of several lawsuits, ICE relented and released Daniela. However, the looming threat of deportation has not been eliminated for Daniela. At the moment, the cases of Daniel and Daniela seem to be outliers and the government seems to prefer not to directly attack DACA. Trump advisor Steve Bannon has been identified as saying that DACA would be a good “bargaining chip” in future immigration reform negotiations. Sentiments such as that mean that DACA holders will remain nervous and will need to continue to monitor the situation carefully. lawyers, the public and the affected immigrants themselves. The resistance is inspiring. As you know, the administration has created two iterations of its travel ban. The first ban was issued on January 27, 2017 and targeted the citizens of Iran, Iraq, Somalia, Yemen, Sudan, Libya and Syria. For the nationals of those countries, the ban prevented the issuance of a visa or the admission in any status. The ban prohibited the admissions of refugees regardless of what country they were from. 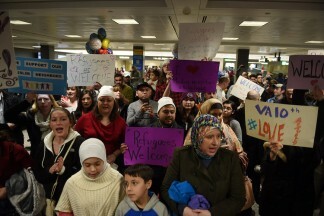 There was considerable confusion over whether the ban applied to permanent residents. You know the story. There were protests and lawyers at airports. Lawsuits were filed. A court in New York and another one in Virginia knocked down the travel ban. Finally, a judge in Seattle barred it for being put into effect on a nationwide basis. The U.S. Court of Appeals for the 9th Circuit heard the government’s emergency appeal of the injunction but the court upheld the Seattle judge. Rather than appeal that ruling, the government issued a second travel ban on March 13, 2017 to take effect on March 17, 2017. That ban exempted Iraqis from its scope and was described by the administration as “watered down.” Yet, a district court judge in Hawai’i blocked this ban as well. A district court judge in Maryland did the same a few hours later. It is important to note that each court that has looked the travel bans has taken the statements of then candidate Trump, his surrogates and his advisers to determine that the intention of the travel ban was to bar the admission of Muslims into the U.S. The many instances where team Trump has made these statements bodes extremely poorly for the future success of the Muslim Bans in the courts. I-601a Provisional Waivers. We thought that the provisional waiver would be a target of the new administration because it was an initiative of the Obama administration. To refresh, the provisional waiver allows out of status individuals with approved immigrant petitions to seek a waiver of the unlawful presence bar (the “ten year bar”) in the U.S. before proceeding to a US consulate in their home country to seek an immigrant visa. It has worked very well and allowed many immigrants to obtain residence. That fact alone, we reasoned, made it a target for the anti-immigration members of the new administration. However, the administration has not moved against the provisional waiver and we have not heard any indications that they intend to do so. For now, the provisional waiver remains a very useful tool to help immigrants regularize their status. Enforcement. The Department of Homeland Security has issued new guidance to ICE agents in the field. The basic approach to immigration enforcement for the last couple of years has been, as a general rule, not to initiate removal proceedings against individuals with family ties in the U.S., a lengthy residence in the U.S., no criminal or serious fraud record. This approach, known as the exercise of discretion, has been criticized by many ICE agents and anti-immigrant politicians as “tying the hands” of law enforcement officials. The new guidance has sought to “unshackle” ICE agents. The new guidance states that ICE should seek to enforce immigration law (put people into deportation proceedings) in all cases. 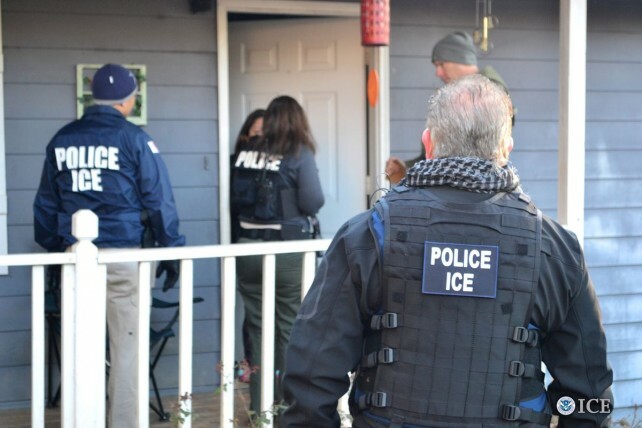 This means that ICE should bring removal proceedings for any number of immigration violations, such as failure to file a change of address or to carry a copy of one’s residence card. Rather than focus on those immigrants that ostensibly present a danger to the community, the government seems to be targeting any and all immigration violations equally. In addition, particularly troubling is the government’s intention to try to expand expedited removal. Expedited removal is a form of deportation that applies in limited circumstances and in limited sensitive zones like ports of entry and near the border. When the government can impose expedited removal, an individual has no right to a hearing in front of an immigration judge, which gives authority to ICE to enter removal orders. The administration seeks to extend this authority to immediately remove anyone who may have been in the country for less than two years. Of course, this raises the practical question of whether individuals should walk around with several years tax returns and other documentation. In light of what we know about ICE and the abuse of authority, we are very concerned that the expedited removal process could be applied against anyone who can not prove in a random encounter that they have been here for more than two years. ICE does not yet have this authority but the fact that they wrote about it makes it clear that they want this authority. Raids. High profile raids occurred in March, ostensibly to identify removable individuals who have been convicted of serious offenses. ICE’s claims about the number of “criminals” arrested usually wilt under the scrutiny of the public and these raids were not exception. ICE’s raids targeted so-called “sensitive locations” such as homeless shelters, courts, schools, and churches. ICE has generally avoided taking enforcement action in such locations due to the terrible optics of ICE arresting parents of students at school or in churches. Yet, in the past few weeks, we have seen an emboldened effort by ICE to enter places they previously avoided. Famously, they arrested a woman seeking a protection order in a courthouse in El Paso, Texas. When confronted with the claim that they arrested a domestic violence victim in court, ICE stated that they encountered the woman on the street, a claim that was belied by video footage showing the arrest in the courtroom hallway. The Wall. The government seems to be going ahead with its plan to build a wall between the U.S. and Mexico. The administration ordered lots of studies and the President’s new budget seeks funds to hire new lawyers at the Department of Justice to fight land claims from property owners upset about having their property seized by the government to build a wall. In the meantime, landowners in Texas have already received notice that the government seeks their land. There is no word whether Mexico will pay for the wall. But Saturday Night Live thinks he won’t. Enjoy a laugh. You need it if you made it this far.